Infliximab and etanercept biosimilars present significant potential cost savings to the NHS. Patients need to be involved in the decision to use these medicines but there is limited published literature on their knowledge and attitudes about these biosimilars. The aim of this study was to investigate ankylosing spondylitis and rheumatoid arthritis patients’ knowledge and attitudes towards infliximab and etanercept biosimilars in the UK. A self-administered web survey was conducted among the members of the National Rheumatoid Arthritis Society and the National Ankylosing Spondylitis Society in the UK between 2 March 2017 and 2 June 2017. A total of 182 patients participated in this survey. The majority of participants (73%) were on etanercept, and 66 and 80% of patients on originator biologic and biosimilars, respectively, understood what biosimilars were. Patients who were currently on biosimilars had greater confidence in their effectiveness and the doctor’s decision to initiate than those who were originally on originator biologics that doctors proposed to switch to biosimilars. The majority (82%) of participants on biosimilars thought that biosimilars help to save money for the NHS, while just over half (54%) of participants on the originator biologics thought the cost of treatment should not be considered when prescribing biosimilars. Survey participants had a good knowledge and understanding of biosimilars. 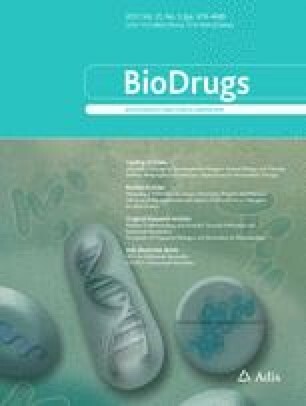 Participants on biosimilars were confident and positive about biosimilars’ safety, efficacy and switching, whereas participants on the originator biologics were more reluctant to switch to biosimilars. Those patients who expressed concerns felt that more clinical trials on switching biosimilars, better communication and reassurance by healthcare professional teams and further involvement in decision making would increase their acceptance of biosimilars. The online version of this article (doi: 10.1007/s40259-017-0238-1) contains supplementary material, which is available to authorized users. The authors would like to acknowledge the National Rheumatoid Arthritis Society and the National Ankylosing Spondylitis Society, everyone who provided assistance in the dissemination of the survey, and all participants who completed the questionnaire. Mohammed Aladul was sponsored by the Higher Committee for Education Development in Iraq. This study was not funded by any organisation and the researchers are independent of any funding bodies. Mohammed I. Aladul, Raymond W. Fitzpatrick and Stephen R. Chapman declare that they have no conflict of interest. Electronic informed consent was obtained from all individual participants included in the study. This study approved by the Ethics Review Panel at Keele University (Ref. ERP393). All authors have contributed to this study and all authors reviewed and approved the final version of the manuscript. MIA participated in the study design, data collection, and interpretation of results, prepared the manuscript draft, and performed all analytical testing and manuscript review. RWF participated in the study design, interpreted the results and reviewed the manuscript and corrected the final version of the manuscript. SRC designed the study, interpreted the results and reviewed the manuscript and corrected the final version of the manuscript. Health and Social Care Information Centre. Prescribing Costs in Hospitals and the Community England 2014–15. 2015. http://content.digital.nhs.uk/catalogue/PUB18973/hosp-pres-eng-201415-report.pdf. Accessed 30 May 2017. European Medicine Agency. European public assessment reports. 2017. http://www.ema.europa.eu/ema/index.jsp?curl=pages/medicines/landing/epar_search.jsp&mid=WC0b01ac058001d124&searchTab=searchByAuthType&keyword=Enter%20keywords&searchType=name&alreadyLoaded=true&status=Authorised&jsenabled=false&searchGenericType=biosimilars&orderBy=authDate&pageNo=1. Accessed 8 June 2017. IMS Institute. Delivering on the potential of biosimilar medicines: the role of functioning competitive markets. 2016. http://www.imshealth.com/files/web/IMSH%20Institute/Healthcare%20Briefs/Documents/IMS_Institute_Biosimilar_Brief_March_2016.pdf. Accessed 11 July 2017. NHS England. What is a biosimilar medicine? 2015. https://www.england.nhs.uk/wp-content/uploads/2015/09/biosimilar-guide.pdf. Accessed 30 May 2017. PMLiVE. Brand leaders in RA will lose market share, predict rheumatologists. 2013. http://www.pmlive.com/pmhub/healthcare_market_research/109066_the_research_partnership/white_papers_and_resources/brand_leaders_in_ra_will_lose_market_share,_predict_rheumatologists. Accessed 4 April 2017. The British Society of Rheumatology. British Society for Rheumatology Position statement on biosimilar medicines (Revised January 2017). 2017. http://www.nras.org.uk/data/files/revised_bsr_biosimilars_position_statement_jan_2017.pdf. Accessed 1 June 2017.